Montana Timber Products The Next Reclaimed Barnwood of the West Ranchwood.™ is the siding, timber, and interior accent product of choice for owners, builders, developers, and architects seeking a high quality and cost effective substitute for reclaimed barnwood. Manufactured from kiln dried rough cut Douglas Fir, our flagship product captures the architectural allure and spirit of the West’s windswept homesteads to provide owners with the rich patina of timeless distinction. Topping it off… all of our products are prefinished with Seal-Once, an environmentally conscious and safe NO VOC waterproofer, which prevents water penetration while adding enhanced UV protection. Our sales representatives understand quality building products and relationships. We’re proud to have affiliated our ranchwood product with some of the finest construction and building material companies in the West. Franklin Building Supply is more than just your local lumberyard. We are paragons of fun and knowledge and help! Oh, and we create amazing kitchens! We are Idaho's only locally owned an operated granite yard. 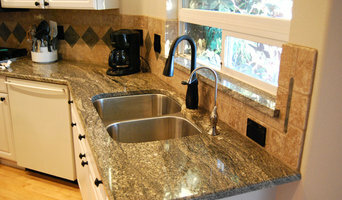 We strive to give you professional advice to ensure that you get exactly what you want when it comes to your granite. We have over 200 different colors in stock at all times, and we let you pick the actual slab you want. We also have one of Boises largest selection of rems, so no project is too small for us! Since 1964 Scandia has been the leader in manufacturing traditional sauna heaters. 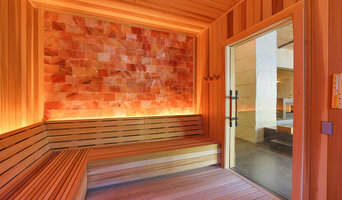 Since then we have developed many innovations in the sauna and steam room industry. Today we provide sauna kits, heaters, and accessories to help you create the perfect home sauna experience. 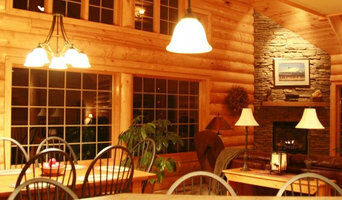 Established in 1975, Lodge Logs & Timber is one of the leading log home manufacturers. Based in Boise, Idaho the company manufactures and sells milled log packages for homes, inns, restaurants and other commercial facilities in the United States and around the world. Our log packages will maximize space and enjoyment while minimizing unnecessary cost . Morai Motion designs electric mini and micro linear actuators for motion control in small spaces. There are a wide variety of options to choose from with regards to size, force and speed. Small electric linear actuators are useful to create custom automation in homes, businesses, vehicles, yachts, RV's, aircraft, as well as artistic installations, medical applications and more. R&R Hardwood has been in the flooring business for more than 40 years with the Boise area. With the increased demand for prefinished hardwood floors and other more advanced flooring systems R & R has recognized the need to bring affordable solutions to the market that are tailored to the needs of the local markets. With the introduction of the Cordelera product lines, we intend to bring flooring products that will enhance your living with the solutions that meet your lifestyle. Ashwood Recovery is an independent, comprehensive outpatient treatment center located in the Boise/Meridian Idaho area. We specialize in treating adults and adolescents suffering from addictive disorders, co-occurring disorders, eating disorders, co-dependency and trauma. Our team is comprised of highly trained and compassionate professionals with an approach to treatment that is effective, diverse and evidence based. Our unique program and successful tools have awarded us many referrals from some of the top treatment programs in the country. Modern Mailbox creates original, Mid-Century Modern inspired mailboxes for homeowners with a passion for retro design. Handmade in America, featuring clean modern lines and hidden hardware, our modern mailboxes are the final step to creating the perfect Mid-Century Modern or Atomic Ranch home. 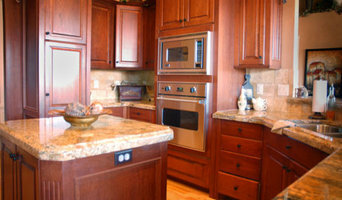 We have quality products and services for all your maintenance and remodeling needs. We are your source for Paint, Hardware, Tools and Lumber as well as Lawn and Garden supplies. Thriftway has been serving the Treasure Valley since 1958; we are a third generation, locally owned and operated business in Boise, Idaho. Whether you are a weekend DIY person or a professional tradesman, we would like to invite you to visit one of our two Boise locations whenever you need some help with your project. We provide innovative plumbing, shelving, and organization products to maximize bathroom space. For over 50 years, we've been the industry leader and innovator for the design, manufacture and support of proprietary engineered structural wood products. Headquartered in Boise, Idaho, we operate four manufacturing plants and 13 design and sales offices throughout the United States. Why should I use Boise, ID building merchants and timber suppliers? If you want to leave the building material selection to your hired contractor, architect or designer, then you probably won’t need to talk to Boise, ID builders’ merchants, but it is a good idea to do so if you plan to be more hands on with your project. Timber merchants will be able to supply you with any wood materials you need for flooring, kitchen worktops, skirting boards, doors and more. The type of timber they can supply may depend on the supplier, but most will sell varieties of hardwood, plywood and softwood; suitable for a range of uses. If you’re after reclaimed building materials for a lived-in, vintage look, then plenty of timber merchants in Boise, ID now offer reclaimed, salvaged or recycled wood for you to use as floorboards or wall cladding. If it all seems a bit overwhelming, Boise, ID building merchants will be able to advise you on the advantages of choosing certain materials. Or, you can rely on building contractors, architects and designers that may be working on your house project with you to advise or select your building materials for you. Here are some related professionals and vendors to complement the work of building supplies: Specialist Contractors, Landscape Contractors, Home Builders, Main Contractors, Design & Build. Find timber and building supplies on Houzz. Narrow your search for Boise, ID timber merchants and builders merchants’ by selecting the nearest city or postcode. Find trusted building merchants and building suppliers in Boise, ID with reviews from residential builders, interior designers and homeowners.